Auschwitz and Birkenau were separate from each other,by about a 45 minute walk. Auschwitz was adapted to hold political prisoners in 1940 and evolved into a killing machine in 1941. Later that year a new site called Birkenau was found to extend the Auschwitz complex. Here a vast complex of buildings were constructed to hold initially Russian POWs and later Jews as a labour pool for the surrounding industries including IG Farben. Following the January 1943 Wannsee Conference, Birkenau evolved into a murder factory using makeshift houses which were adapted to kill Jews and Russian POWs. Later due to sheer volume Birkenau evolved into a mass killing machine using gas chambers and crematoria, while Auschwitz, which still held prisoners, became the administrative centre. 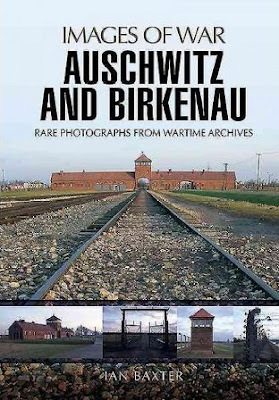 The images show first Auschwitz main camp and then Birkenau and are carefully chosen to illustrate specific areas, like the Women's Camp, Gypsy Camp, SS quarters, Commandant's House, railway disembarkation, the 'sauna', disinfection area and the Crematoria. Maps covering Auschwitz and Birkenau explain the layout. 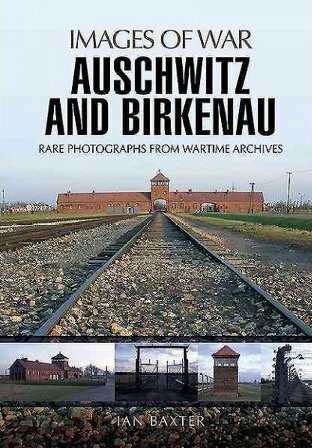 This book is shocking proof of the scale of the Holocaust.